Efforts by the City of Brampton to reach newcomers through ethnic media will be an important test of how municipalities can better communicate with newcomers, particularly those who struggle with English, new research suggests. The study, by Ryerson University journalism professor April Lindgren, examines the evolution of Brampton’s ethnic media strategy over the past decade. Lindgren said local ethnic newspapers, websites and television programs play a key role in making local news and information accessible to immigrants, particularly those who are not fluent in English or French. Lindgren used Kristin R. Good’s book “Municipalities and Multiculturalism: The Politics of Immigration in Toronto and Vancouver” as the starting point for examining Brampton’s evolving communication policy. Good’s 2004 fieldwork showed that Brampton officials were generally unresponsive to the dramatic demographic changes happening in the city. The city’s population surged by more than 60 per cent between 2001 and 2011, mostly the result of immigration. More than 17 per cent (91,345 people) of city residents now identify Punjabi as their mother tongue, which Statistics Canada says makes it the second most frequently spoken language after English. The number of ethnic media outlets also expanded rapidly so that today about 50 ethnic news organizations — including 40 that target South Asian groups — receive press releases from the city. Brampton’s communications department tried to reach out to its newest residents in 2007 by expanding the distribution of English-language news releases to include ethnic media. But Lindgren’s research showed this didn’t have much effect. Her content analysis of the Canadian Punjabi Post, one of the higher profile Punjabi-language publications in Brampton, identified 480 news items about the Greater Toronto Area published over a three-week period in 2011. 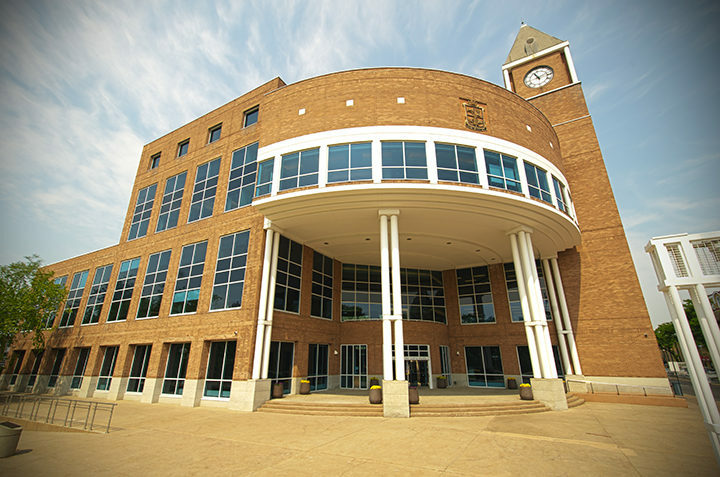 While 157 of the news items were about Brampton, only three pertained to city hall matters. “When we looked at the Canadian Punjabi Post we found that there was actually very little Brampton city news in the paper. So clearly the city’s message wasn’t getting through – it wasn’t enough to just send out those English-language press releases to ethnic media,” Lindgren said. In 2013 the city hired a specialty media coordinator who speaks and reads Punjabi. And then, in 2015, Brampton councillors embraced an expanded ethnic media strategy, approving an additional $408,937 to hire a second specialty media coordinator and engage an ethnic media monitoring service. The money was also allocated to translate some key corporate communications materials and all press releases into French and the 10 most commonly spoken languages other than English. Although the original plan was scaled back, the city council did commit to funding the translation of media releases into French, Punjabi, Urdu and Portuguese for a trial period until the end of 2015. In the paper, Lindgren attributes Brampton’s attempts to reach out to residents via ethic media to rapid demographic shifts that caused “friction between newcomers and other residents.” The tensions, she said, pointed to the need for a more proactive policies to foster better intercultural understanding. Lindgren suggested the new policy is symbolically important for Brampton’s multicultural communities: “I don’t think you can underestimate the symbolic importance of what the city’s done in terms of saying ‘we recognize these media outlets as being part of the established media’ in a sense and as being legitimate and valuable way to get their message out,” she said in an interview. In a recent news report, however, the publisher of the Canadian Punjabi Post argues that better access to city politicians would be more helpful than translated press releases. “The city is spending a lot of money on translation, which is not worth it as I have to rewrite the releases. This does not make sense to me,” Jagdish Gewal told New Canadian Media. Meanwhile, the trial period for Bampton’s expanded ethnic media strategy has been extended and a report on its effect will be discussed by council in the next few months, a city official said. Lindgren’s paper, “Municipal Communication Strategies and Ethnic Media: A Settlement Service in Disguise,” was published in the 2015 fall Issue of the Global Media Journal — Canadian Edition, Multicultural Media and Immigrant Integration.